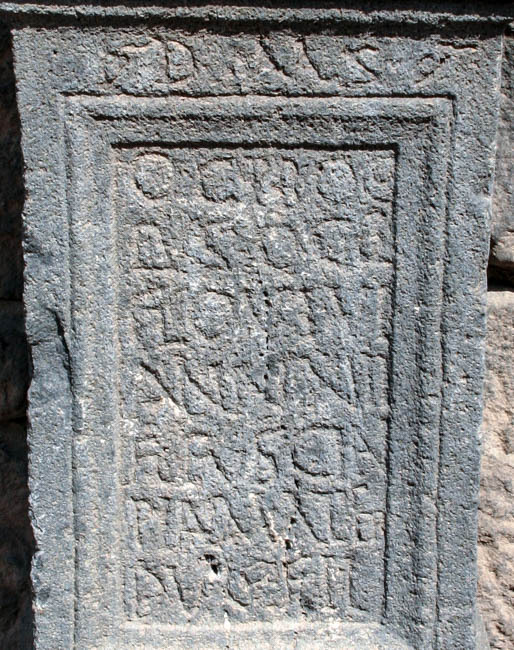 Funerary inscription for Octavius Proclus, died age 13, set up by his mother Flavia Fuscina at Bostra. For Octavius, son of Octavius Proclus, who lived 13 years. Flavia Fuscina devoted mother (made this) for (her) most dear son. 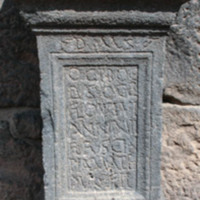 Lupa = F. and O. Harl, www.ubi-erat-lupa.org (Picture database of antique stone monuments) ID 23822. 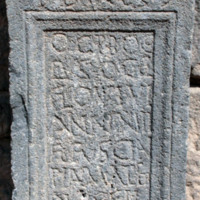 “Epitaph for Octavius Proclus, set up by his mother Flavia Fuscina at Bostra (BOS0116),” WIRE: Women in the Roman East Project, accessed April 24, 2019, http://www.wireproject.org/items/show/70.